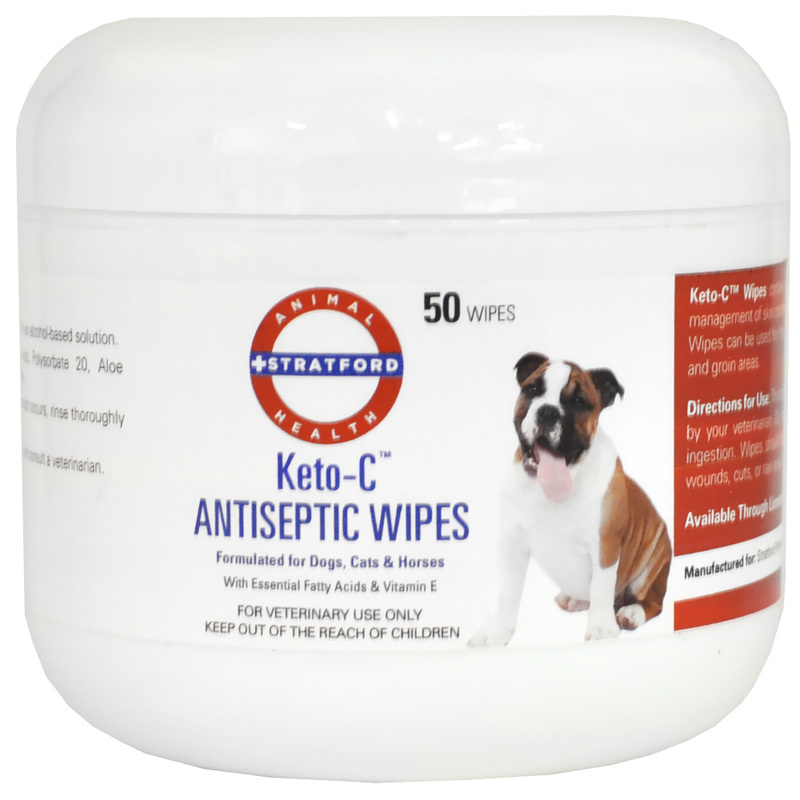 Stratford Keto-C Wipes contain an antiseptic (antibacterial and antifungal) solution for the topical management of skin conditions that are responsive to chlorhexidine and ketoconazole. Keto-C Wipes can be used for the antiseptic cleansing of face folds, finger folds, as well as underarm and groin areas. Thoroughly wipe affected area with a pad 1 to 3 times per day, or as directed by your veterinarian. Do not allow the animal to lick the treated areas until dry to prevent ingestion. Wipes should be used for one application only; do not reuse. Avoid use on open wounds, cuts, or raw areas (use Keto-C Flush instead). Water, Propylene Glycol, Nonoxynol-9, Lactic Acid, Polysorbate 20, Aloe Barbadensis (Aloe) Leaf Juice, Glycerine, Fragrance, Methylisothiazolinone.